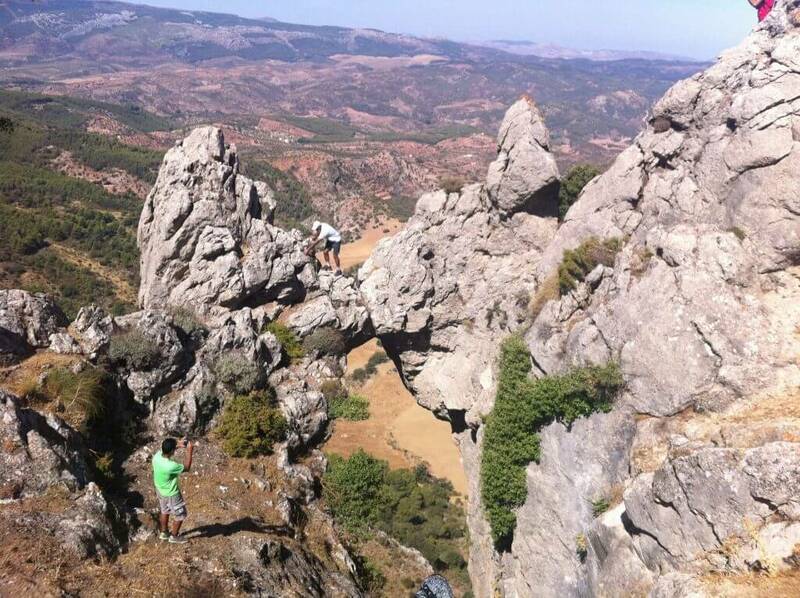 An easy hike that starts from the beautiful village of Casarabonela. The village borders the Biosphere reserve of Sierra de las Nieves, but this particular hike takes place in a smaller mountain range known as the Sierra Prieta. The Sierra Prieta and neighbouring Sierra Cabrilla are two of Málaga’s lesser known mountain ranges. 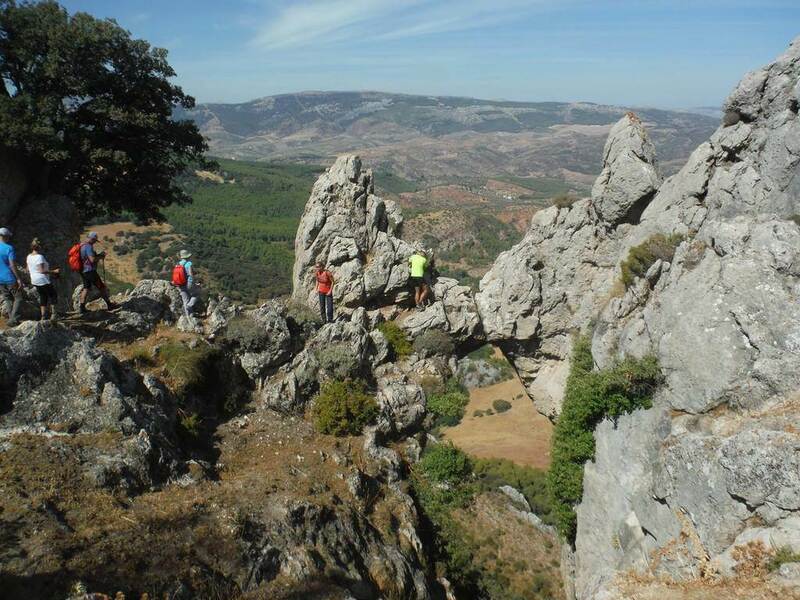 They sit bordering the Sierra de las Nieves natural park and the lush Guadalhorce valley. On a clear winter’s day the views are unbeatable. From the highest peak in the Sierra Prieta (also confusingly known as the Sierra Prieta – about 1500m), you can see no less than five of Andalusia’s highest mountains; El Torreón (Cádiz), El Terril (Sevilla), La Tiñosa (Córdoba), La Maroma (Málaga) and mainland Spain’s highest peak, the majestic Mulhacen (Granada). And, of course, not forgetting the immediate views of the Torrecilla and the Pico Valdivia in the neighbouring Sierra de Alcaparaín. A truly privileged spot. 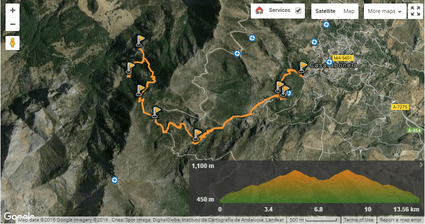 The hike starts and ends at the Area Recreativa Llano Cristobal that sits at the top of the village – here. Although there’s a quite bit of accumulated height, the walk is very straightforward and can be shortened. We had lunch in an area called the Vivero (see track below, waypoint marked) that added a few extra kms on and was a steep climb down and back up. The rock formation known as La Campaña (sitting at 963m) is a spectacular quirk of nature, it looks like a bell from certain angles, hence the name. Be very careful climbing across it, there are steep drops on all sides. One slip and that’s it. 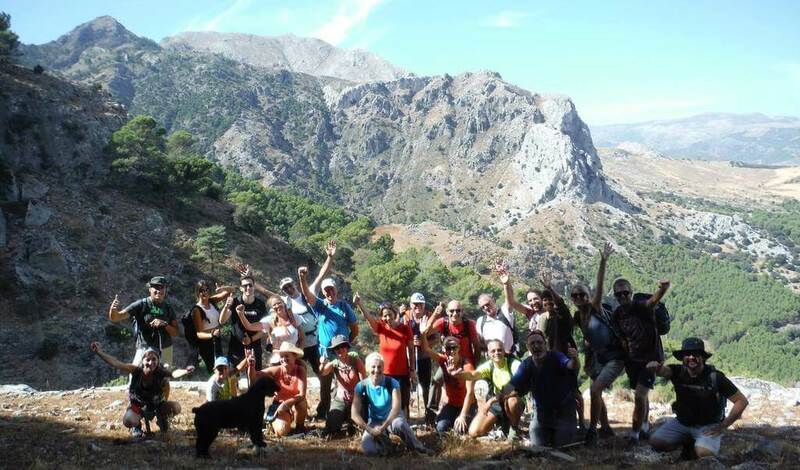 The hike was organised by Juanfran from Málaga Natural Guiada. 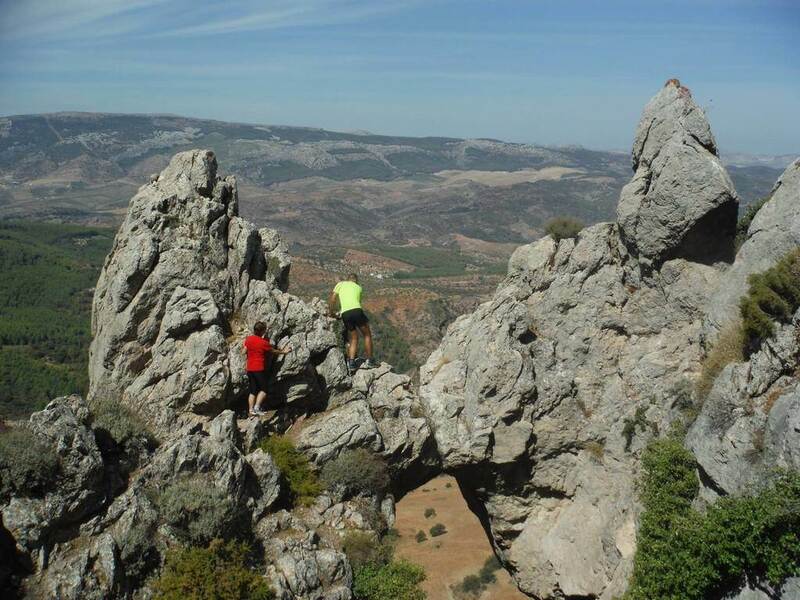 They organise weekly routes around Andalucia, including kayaking and river walks. All their routes are easy and open to all….including children, although it’s best to check first. Each daily excursion costs around €5 per person. Speaking Spanish certainly helps but is not a necessity. Best to contact him via Facebook. Here’s the track I recorded.